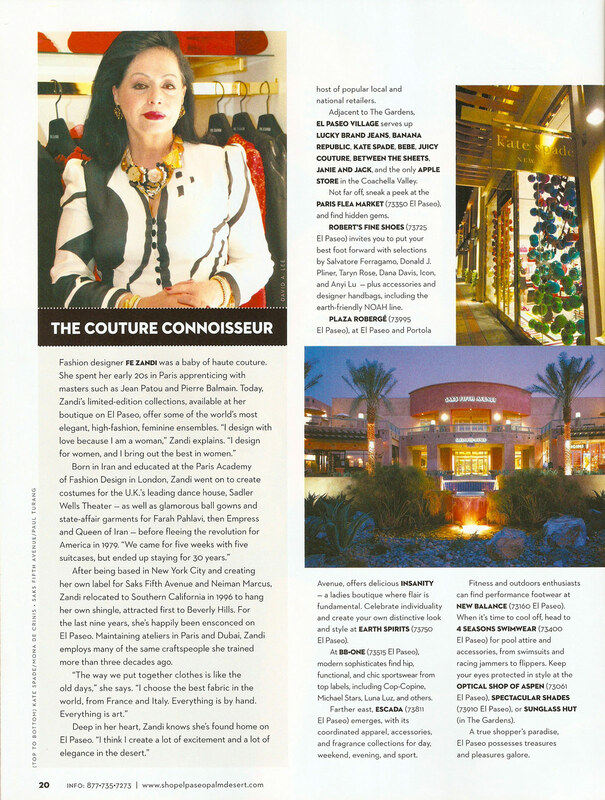 Presented at the Third Annual Fashion Week on El Paseo, under the auspices of Fashion Group International, a global organization that networks more than 5,000 members who are executives in the fashion, design, and beauty industries, the award honored haute couture designer, Fe Zandi. 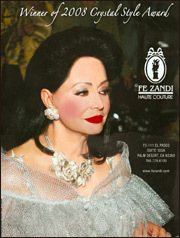 Fashion designer FE ZANDI was a baby of haute couture. She spent her early 20s in Paris apprenticing with masters such as Jean Patou and Pierre Balmain. 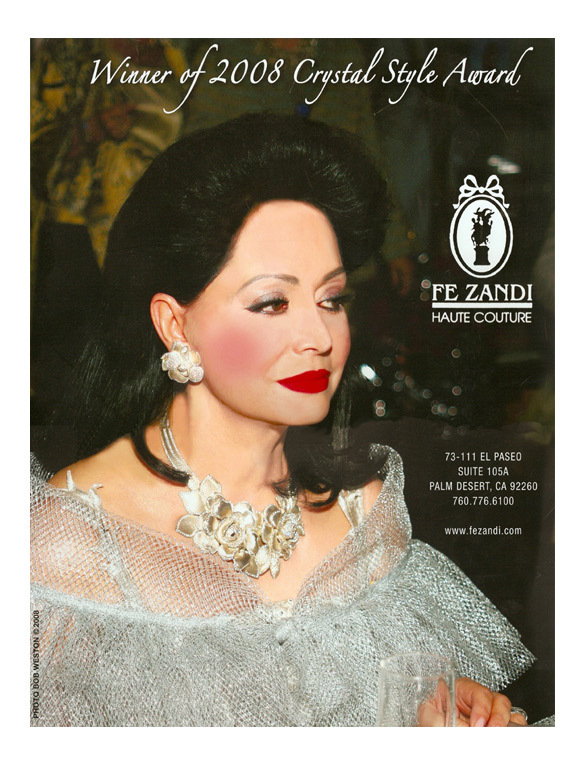 Today, Zandi's limited-edition collections, available at her salon on El Paseo, offer some of the world's most elegant, high-fashion, feminine ensembles. "I design with love because I am a woman," Zandi explains. "I design for women, and I bring out the best in women." After graduating at the top of her class from the Paris Academy of Fashion Design in London, Fe Zandi became a costume designer for the Sadler's Wells Theatre. 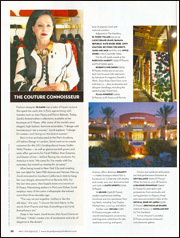 A year later, she opened her first collection at the Hilton Hotel with a formal show to much acclaim. 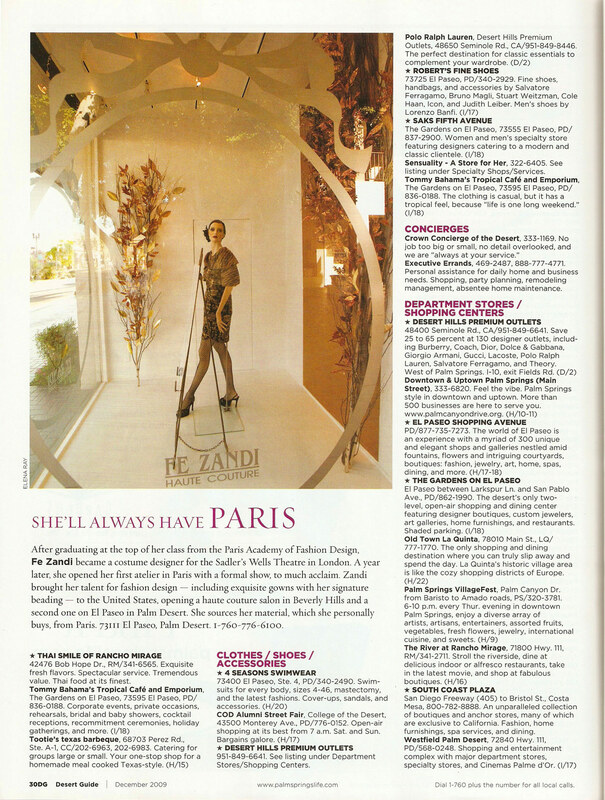 Zandi brought her talent for fashion design to the United States opening a haute couture salon in Beverly Hills and a second one on El Paseo in Palm Desert. 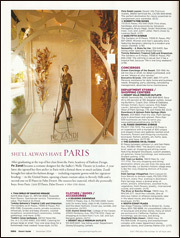 She sources her own material, which she personally buys from Paris.